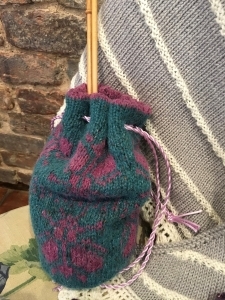 This simple bag is knitted in one piece, in the round. The outer layer is Fairisle, using the bee motif from the Bee Blanket. The lining is plain stocking stitch. The bag is just about the right size for a small project – or just some lovely keepsakes. 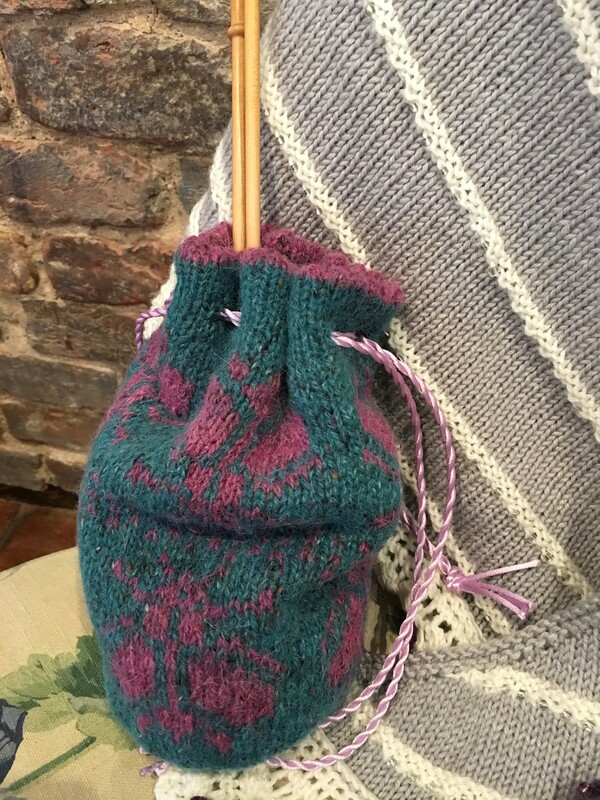 This bag was originally part of the Knit Camp 2017 Bailbrook Collection. I rate this as moderate.